Broken subway cars and rails packed in ice. A region frozen in place. And then, just like that, the feisty general manager of the MBTA resigned, her boisterous defense of the agency replaced with silence. There was, no doubt, something abrupt about the crippling of the nation’s fifth-largest public transit system in the face of this unprecedented run of weather. But the true story of the breakdown is not one of sudden failure. It is a decades-long tale of grand ambitions and runaway costs, of lawmakers who failed to invest amid warnings of collapse, and a system reaching for expansion even as its core deteriorated. And it is, in some respects, a tale of opportunities — a few seized and many missed. The story could begin in many places. But start in 1990. Governor Michael Dukakis was at the tail end of his third and final term. The Big Dig, an idea two decades in the making, was moving closer to reality. And the governor was determined to push the project forward and cement his legacy. The Conservation Law Foundation, an influential environmental advocacy group, sensed an opportunity. A project of this size — burying the Central Artery beneath downtown Boston and transforming an important American city — had to pass muster with federal clean air regulators. And one way to do that was to attach a bunch of public transit improvements. The argument was that extending the T’s commuter rail in several directions and pushing the Green Line into Medford would take drivers out of their cars, offsetting some of the increased highway traffic the Big Dig might invite. Here, for advocates, was a chance to use highway dollars to fulfill long-nursed hopes for a more robust transit system. The public transit projects were already in the state’s long-term plans. But advocates were concerned that the next governor would not have the same enthusiasm for the T as Dukakis, who routinely rode the Green Line to work. 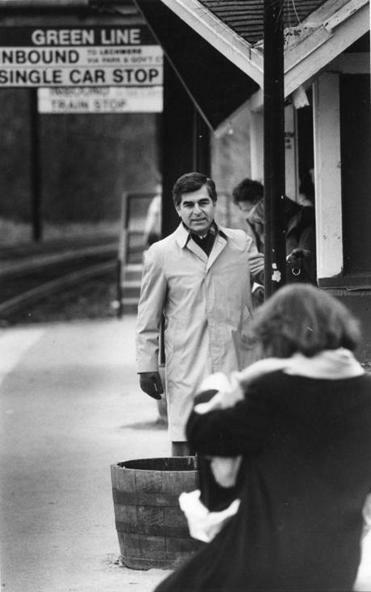 Former Governor Michael Dukakis routinely rode the Green Line to work. Indeed, while there was an element of threat involved — the foundation said it would sue to block the Big Dig unless the public transit projects were locked into place — the advocates had a willing partner in the corner office. The two sides came to an agreement on the MBTA projects. And Dukakis’s environmental affairs secretary made a key sign-off on the governor’s final day in office. David Luberoff, who wrote about the Big Dig in his book “Mega-Projects: The Changing Politics of Urban Public Investment,” contends that the agreement was built on a faulty premise. The air-quality benefits of the transit projects, he says, were overstated. 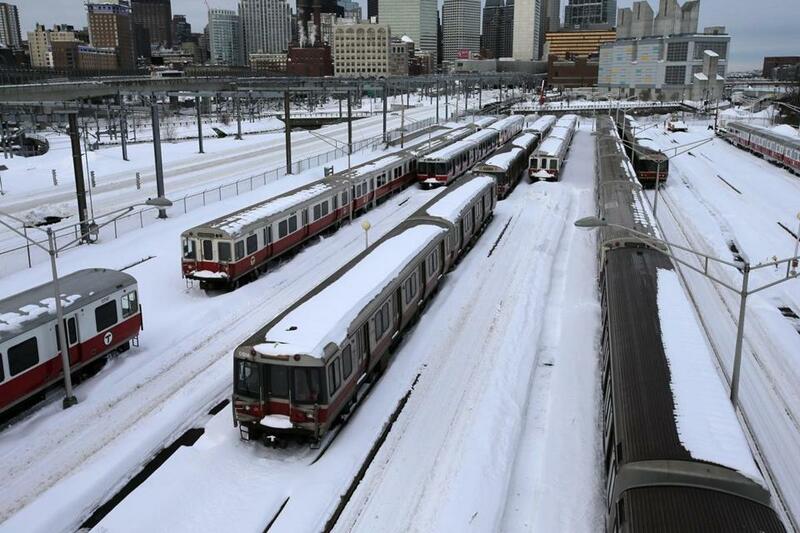 And for some critics who say a fundamental problem with the MBTA is an expansionary impulse that the state cannot afford — an impulse that has drained money from the sort of upkeep and maintenance that might have prevented this winter’s breakdowns — the Conservation Law Foundation agreement was a turning point. Transit advocates push back hard on the critique. The projects delivered clean air approval for the Big Dig, they say. And if a series of administrations hadn’t delayed their construction so long — Medford is still waiting for the Green Line expansion — the costs would have been much more reasonable. More fundamentally, they say, the choice between maintaining and expanding the system was and is a false one. Public transit is nothing less than the engine of Greater Boston’s economic growth, they argue. And ridership is only expected to grow. “The idea that we can just keep the current system as it is — as it happens to be — is not realistic,” said Rafael Mares, a senior attorney with the Conservation Law Foundation. Governor William Weld took office in 1991 with a pledge of “entrepreneurial government.” And that meant, in part, privatizing as much as he could. 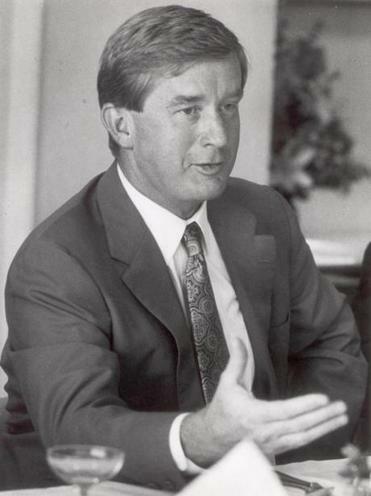 Former Governor William Weld in 1991. Prison health care. Skating rink management. Highway maintenance in Essex County. Public employee unions lashed back, pressing for a law that would effectively bar privatization of public services. And the debate was sharp. “You’re a state employee,” a spectator shot back. Weld vetoed the measure, known as the Pacheco Law after its sponsor. But the Legislature overrode him. And the MBTA, critics of the legislation say, has suffered as much from its strictures as any agency. In 2013, former Massachusetts inspector general Gregory Sullivan conducted a study for the Pioneer Institute of the T’s in-house bus maintenance program, and found its costs per mile were the fourth highest of 379 US bus-transit agencies. But if the antiprivatization law, passed in 1993, had lasting impacts on the T, there was nothing so significant as “forward funding” reform, which went into effect in July 2000. Before the law passed, the MBTA was “backward funded.” It spent what it spent and then presented lawmakers with a bill at the end of the year to cover any deficit. It was more like giving a teenager an unlimited allowance than a prescription for fiscal discipline. The idea, with forward funding, was to make the T self-sufficient. The agency would get a dedicated funding stream — a penny on every nickel collected in state sales tax. And it would take on the debt the state had acquired over the years building MBTA projects, including the Big Dig-related work. Forward funding, though, quickly foundered. Sales tax revenue projections proved too rosy. And costs shot up much higher than expected. The T, in the decade that followed the change, was the single largest consumer of electricity in the state. Its trains and buses churned through tens of millions of dollars of gasoline, diesel fuel, and compressed natural gas each year. And between the 2001 and 2008 fiscal years, fuel and utility bills soared by 122 percent — well above the projected 22 percent. With skyrocketing costs and sagging revenue, chipping away at the transit agency’s debt proved nearly impossible. The T, in fact, repeatedly restructured that debt to balance its books — pushing the problem forward, and, in some cases, exacerbating it. The sirens were soon to come. Would anyone listen? If some conservatives were wary of the Big Dig-related MBTA expansion, they did not find particularly forceful allies in the string of Republican governors who succeeded Dukakis. Weld, after expressing some early doubts about the Conservation Law Foundation agreement, finalized it. Chieppo of the Pioneer Institute, who has been one of the sharpest critics of the deal, worked for a time in Governor Mitt Romney’s administration. And he recalled urging top-ranking aides, in one meeting, to take a stand against one of the Big Dig-related projects — what would become the half-billion-dollar Greenbush commuter-rail line on the South Shore — but to little avail. Even Governor Charlie Baker, who has warned in recent weeks against the dangers of expansion, has been tempted by the politics of building out the system. During the gubernatorial campaign, he suggested he could support the $2.2 billion South Coast Rail plan to extend commuter rail to New Bedford and Fall River. Even those most critical of MBTA spending, though, say the state’s underinvestment in the agency is the core problem. A pair of reports, released at the end of the last decade, made that conclusion difficult to avoid. The Massachusetts Transportation Finance Commission, tasked with taking a deep look at highway and transit finance during the Romney administration, found a staggering funding shortfall, $15 billion to $19 billion over 20 years, just to maintain the infrastructure. The problem at the MBTA, in particular, hovered between $4.8 billion and $9 billion when the Big Dig-related commitments were included, according to the report. Silveira, the former MBTA official and now a Republican lobbyist, headed the commission. And months before the release of the report, with the scope of the problem coming clear, he delivered the news to Romney in a face-to-face meeting. The governor had been promoting an ambitious, $31 billion transportation plan that included highway fixes and rail extensions. And he seemed unwilling to hear about a giant shortfall that could undercut his agenda. Silveira said last week that he did not really expect Romney to take a big public stand on the problem with just months remaining in his term. But an unwillingness to confront the issue head-on, observers say, is a pattern on Beacon Hill. Two years after the finance commission’s report came out, Governor Deval Patrick tapped former John Hancock chief executive David D’Alessandro to lead an examination of T finances. The result was another dire report. D’Alessandro, like virtually every close observer of the T, maintains that a substantial investment in the agency is critical. And he’s deeply critical of a Legislature that, he said, has failed to confront that reality, and that instead points fingers at an MBTA whose wages, fares, and so-called “cost-per-mile” expenditures are in line with other big transit systems around the country. “The Legislature’s ability to shift accountability to the administration is almost Houdini-like,” he said. The view from Beacon Hill is different. There, insiders say those pushing for more transportation funding have bungled the politics, or misread the public mood. In 2013, the governor made a stab at cementing his legacy in his State of the Commonwealth address, pitching a $1.9 billion tax increase to fund rail lines all over the state, boost MBTA funding, and expand early education. Legislative leaders say they were blindsided. “About what?” Murray recalled saying. Patrick told the Globe last year it was an “urban legend” that he hadn’t prepared legislative leaders. But many transit advocates, at least, were caught unaware. There was a broad expectation the policy conversation that year would focus on transportation alone. And there was concern that the governor’s play for something larger could jeopardize highway and transit funding. 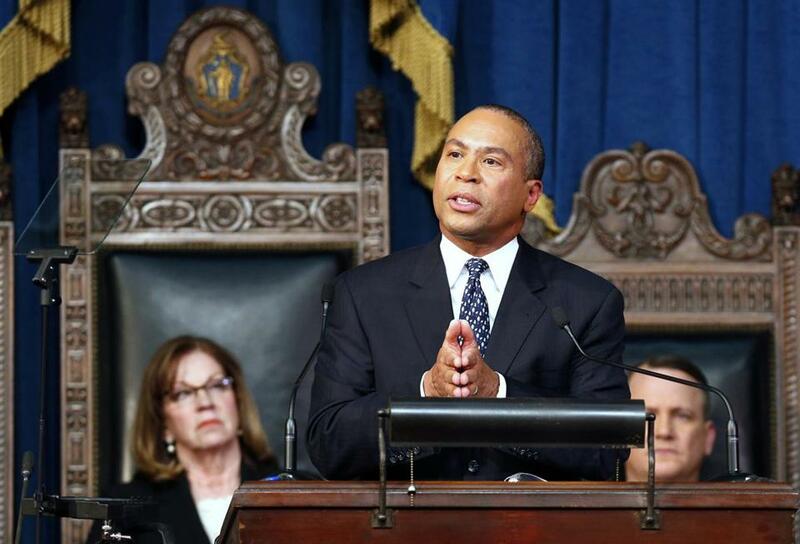 In 2013, then-Governor Deval Patrick pitched a $1.9 billion tax increase to fund rail lines all over the state, boost MBTA funding, and expand early education. The Legislature wound up passing a stripped-down, transportation-focused tax package that would generate an estimated $600 million per year, on average, over the five years that followed. Patrick and transit advocates called it a partial solution. And its value would soon erode. The measure included a 3-cent bump on the state gas tax, from 21 to 24 cents per gallon. And it indexed the tax to inflation, allowing for automatic increases in the future. But last fall, voters repealed the indexing. Beacon Hill denizens insist the vote demonstrates a limited public appetite for investment, a constraint that activists must acknowledge. 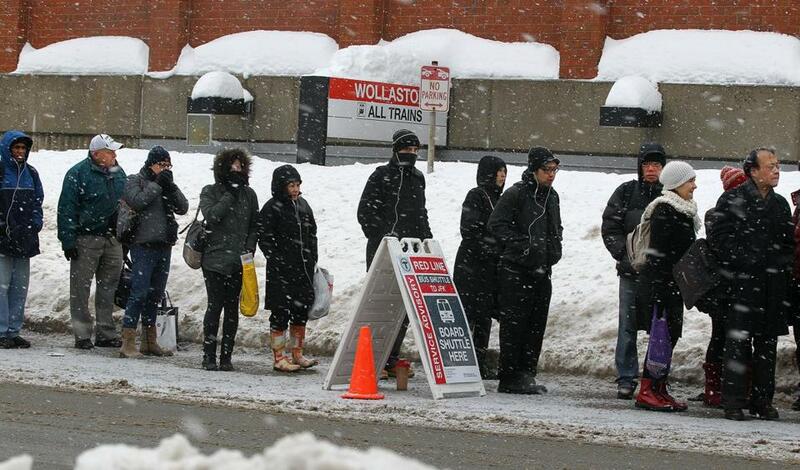 The MBTA, he said, must be reformed before advocates can make a credible play for more money. The authority’s opaque pension system must be more transparent, he said. And the MBTA must look for ways to privatize more services, despite the restrictions of the Pacheco Law. It is an argument that has been made, and one that frustrates advocates who say reform, however important, is a matter of saving millions when the problem is in the billions. The MBTA’s $5.5 billion debt is roughly $8 billion when interest is included; this year, more than one in five dollars the agency spends will go to debt service. But Pollack, the Baker administration’s point person on the T, said reform is often cast too narrowly — as a nibbling around the edges. What the moment demands, she said, is a conversation about a substantial reordering of the agency. That could mean boosting the contribution that the communities served by the T make to the agency’s budget, she suggested — making it more accountable to them and less accountable to taxpayers in the rest of the state. The agency, she said, must show it can invest wisely in its core mission before it asks for the money for an expansion — an expansion that may, in fact, be necessary to keep the region’s economy growing. Senate President Stanley C. Rosenberg, an Amherst Democrat, said this reform-before-revenue approach is the right one. The trouble is, he said, the Legislature always stops at reform and never gets to revenue. So then, will the storms of 2015 provide the political will that has long been absent? Will the disabled trains, the Peter Pan buses brought in to transport commuters, and this weekend’s suspended service finally convince the public and lawmakers that it is time for a major new investment? Is this the opportunity that will be seized? The trouble is, says Senate President Stanley C. Rosenberg, the Legislature always stops at reform and never gets to revenue. Stephanie Ebbert of the Globe staff contributed to this report. David Scharfenberg can be reached at david.scharfen-berg@globe.com. Follow him on Twitter @dscharfGlobe.